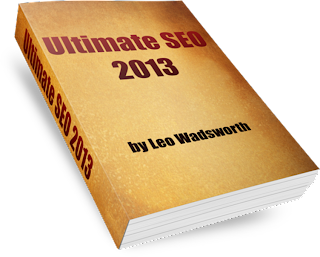 This "Ultimate SEO 2013 by Leo Wadsworth" will act as a complete guide for Search Engine Optimization in latest trends of 2013. The big book will act as a encyclopedia of SEO in PDF form.These SEO stuff's will be very useful for all website owners and web developers to get their websites ranking No.1 in SERPs. 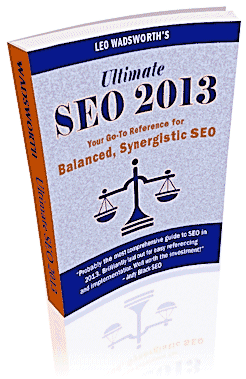 "Ultimate SEO 2013 by Leo Wadsworth" covers 12 different types of SEO and contains totally upto date information about Google SERPs and Algorithms and Google Techniques. The most important one for any website owner is the Number of visitors i.e., Traffic. How to get it? 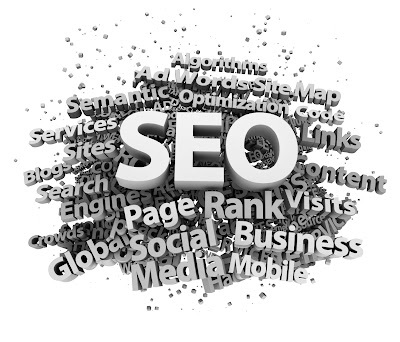 The most easiest thing to get traffic and the most toughest thing to get traffic for a website is SEO.